he brightest flashlight ever created by NEBO is here – the Redline Big Daddy. This completely waterproof (IPX7) flashlight features a powerful 2,000 lumen output, 4x adjustable zoom, 5 unique light modes and a convenient carry lanyard. 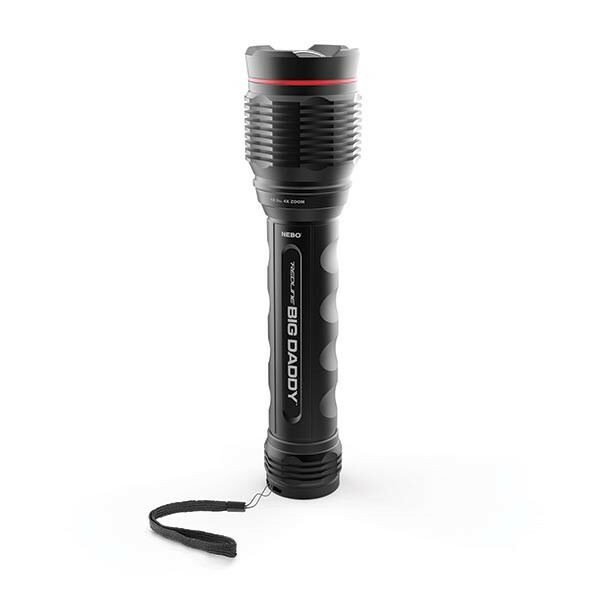 The Redline Big Daddy is everything you could need in a flashlight, and then some!